Working seamlessly with the event producers to make sure Hotel Tacoma’s guests were not interrupted by the the production team, we captured a huge variety of footage in just 3-days and created 9 unique video assets in one week. The main asset, a 2-minute trailer-style recap video has received over 1 million views on Facebook; with hundreds of thousands of additional views generated by posts and stories from social influencers, professional athletes, and celebrities in attendance. 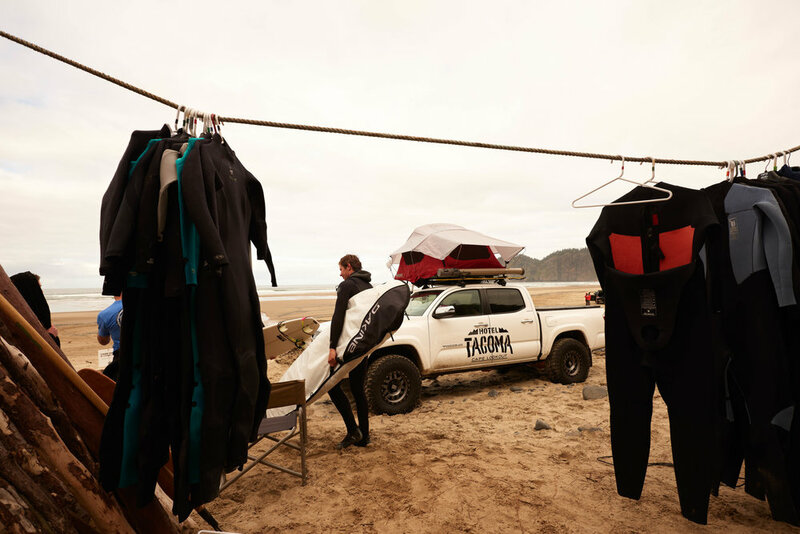 The biggest challenge of the Hotel Tacoma shoot was capturing cinematic, action-packed shots without impacting the guests experience. To accomplish this, we created three highly mobile and coordinated camera teams, that expanded and contracted depending on the needs and occurrences of the event. Doing so allowed us to be flexible to capture a diversity of footage, as it happened without the luxury of multiple takes. Throughout the 72 hour event we captured over 25 hours of footage in 8000GB's of data. In order to release content as close to the event as possible, we worked within an extremely tight production schedule throughout the project. During the production, we used on onsite DIT and editing team to conform footage, provide dailies and catalogue for post production. 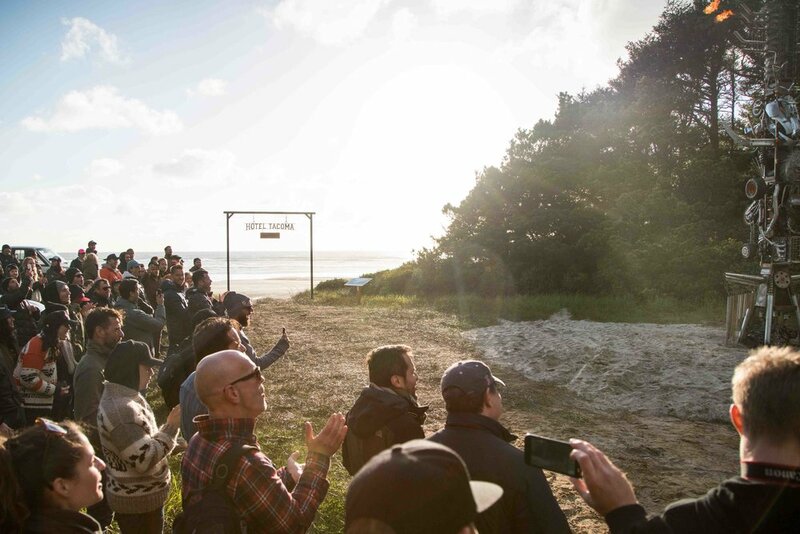 Afterwards, we hosted a team of creative directors from Saatchi Los Angeles in our production studio in Squamish, creating all deliverables for Toyota USA in the span of a week. When the dust settled, we had created the 2 minute feature edit, a 60-second teaser, 7 unique social media clips and 90-second in-cinema “trailer” (created after the initial release). What's the first thing you would do at #HotelTacoma? Drive a Tacoma? Ride a side by side? Go paragliding? Fly-fishing? Surfing? See all of the action in the official video using the link in our bio. This isn't some summer camp; this is #HotelTacoma. The five-star food and amenities really made this weekend stand out. Not a bad thing to come back to after an intense mini-bike race. See the video of the whole weekend using the link in our bio. 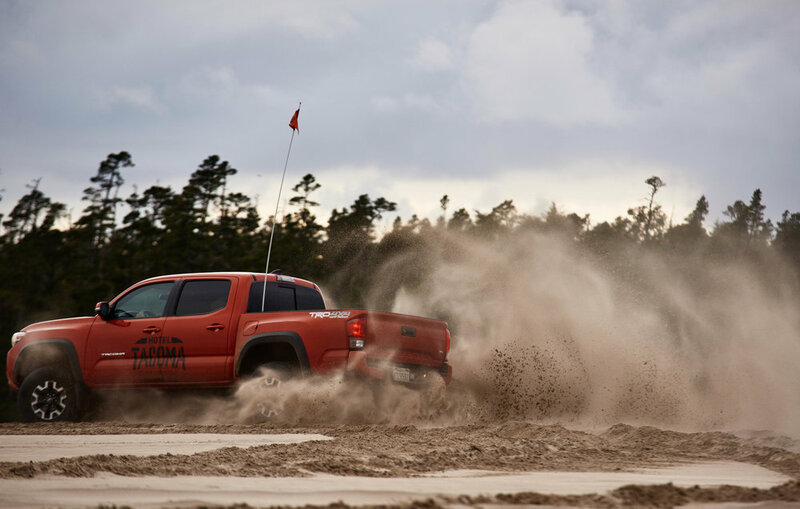 #HotelTacoma -- Cape Lookout was an off-road weekend for the history books (in case there's an off-road history book). If you haven't seen it, or want to watch it again, click the link in our bio.